Teaching civics, United States Government, and Virginia Government to our young Virginians is a high calling and I have the utmost respect for our public and private school teachers and home-school parents who put their time and efforts into this critically important task. I have a strong and abiding passion in these subjects, along with a love of teaching. I would like to share these valuable resources that contain useful information about the legislative process and our state government, which holds the honored distinction of being the oldest continuous law-making body in the New World, established on July 30, 1619. If I can ever be of assistance to you in your work, please do not hesitate to contact me. The Capitol Classroom web site provides legislative information about Virginia in an educational and entertaining setting for K-12 students and adults. Learn about Virginia's symbols and emblems, history, Members of the General Assembly, the Virginia State Capitol, and How a Bill Becomes a Law! 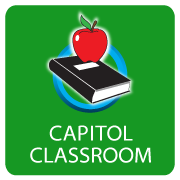 Click on the image below to navigate to the Capitol Classroom homepage. 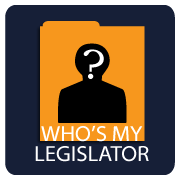 Who’s My Legislator is an online tool to help you determine who represents you by entering your home address or use map-based navigation to see district boundaries for both House and Senate representatives, as well as those in the U.S. House and Senate. Click on the image below to navigate to the "Who's My Legislator?" page. It is vitally important that students are taught the origins and the rich history of our great nation and our Commonwealth. Click on the image below to view a document that contains the Constitution, The Declaration of Independence, and several other founding documents of the United States and the Commonwealth of Virginia.